Situated near the bay, this cottage is 2.8 mi (4.5 km) from Forest & Heritage Centre and 6.6 mi (10.7 km) from Wooden Boat Centre. 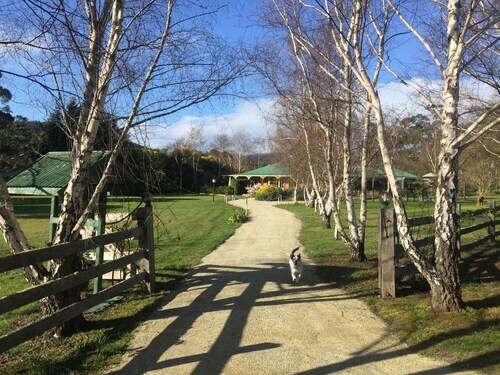 Home Hill Winery and The Huon Apple and Heritage Museum are also within 16 mi (25 km). Nestled on the beach, this Dover cottage is within a 5-minute walk of Port Esperance and Kents Beach. Esperance Bay Park and St. Imre Vineyard are also within 1 mi (2 km). Situated near the bay, this luxury guesthouse is 10.7 mi (17.2 km) from Oyster Cove Marina and 11.1 mi (17.8 km) from Kettering Ferry Terminal. Bruny Island Ferry Terminal and Pelverata Falls are also within 20 mi (32 km). 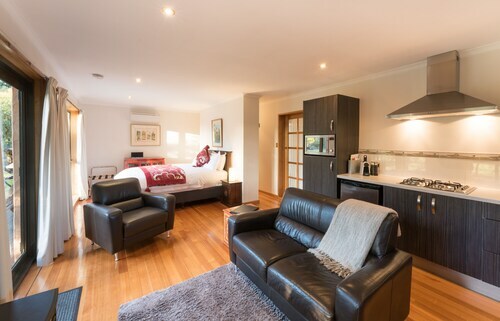 If you're planning a trip to Huon Valley and trying to find somewhere to stay, you'll have a small list of options at your fingertips. Select any of the 5 within 5 kilometres of the city centre. You won't be too far from the main areas at the Cambridge House and The Bears Went Over the Mountain. If you don't have any issues with setting up base 20 kilometres away from the city center, consider the suburb of Huonville. 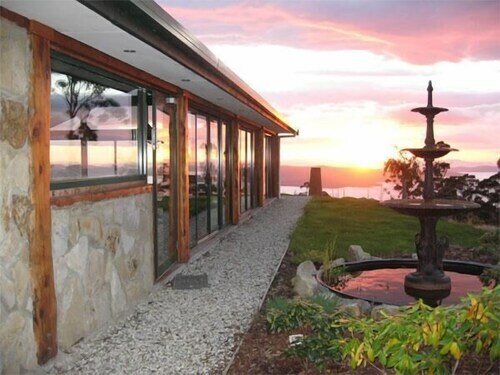 It has 3 places to stay, such as Huon Bush Retreats and Walton House. This destination offers only a limited number of budget hotels for travellers on a shoestring. The Airwalk Lodge - Hostel is one of the best options. For more options, try out the Woodbridge Hill Hideaway and the Driftwood Cottages. They are located 20 kilometres and 16 kilometres respectively from the main center. 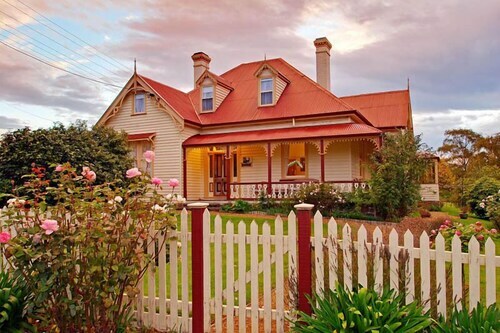 If these two don't suit you, you can try the Huonville Guesthouse or the Crabtree House. But wait, there's more! Southeast Tasmania has many other great places to check out! View Southeast Tasmania's forests, mountains and caves. In addition, you should head to a few of the area's history museums and art galleries. Common activities in this particular part of Australia include hiking and caving. The nearby localities of Deep Bay and Woodbridge are certainly worth checking out. 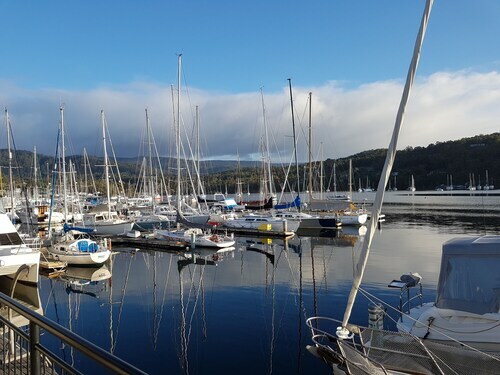 Deep Bay is 15 kilometres to the east of Huon Valley, while Woodbridge is 20 kilometres to the east. 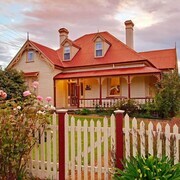 Hotels and apartments in Deep Bay include the Green Gables B&B and Tranquil Point. 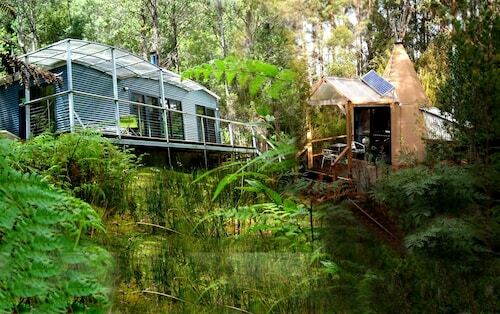 The Bruny Vista Cabin and Arjuna Ridge Bed & Breakfast are some of the better ones in Woodbridge. Australians are world renown for their love of sport, so why not visit Kingborough Sports Centre? Kingborough Sports Centre is to the northeast of Huon Valley. 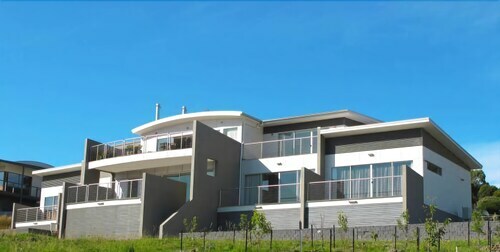 The Villa Howden and The Esplanade Kingston Beach are top options if you want to stay nearby. Situated 60 kilometres away from Huon Valley is Hobart International Airport. Stay nearby at the Travelodge Hotel Hobart Airport or the Hobart Airport Tourist Park. 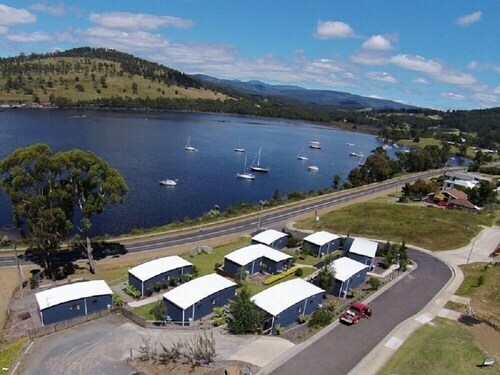 How Much is a Hotel Room in Huon Valley? 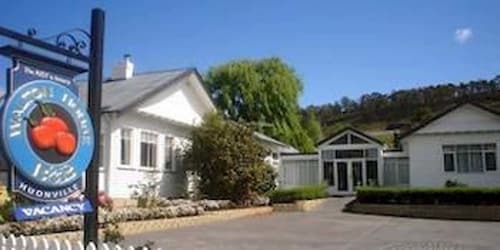 Hotels in Huon Valley start at AU$85 per night. Prices and availability subject to change. Additional terms may apply. Loved our stay at the Beach House, wood heater was damaged so the lovely staff left a bottle of bubbly as a compliment for the minor inconvenience in saying that the heat pump was more than adequate. We were lucky enough to have a completely calm night, no wind and not a cloud in sight which made the out door spa experience magic looking up at the stars.